Include your self in to the glamour of a season with this orange colour royal crepe salwar suit. 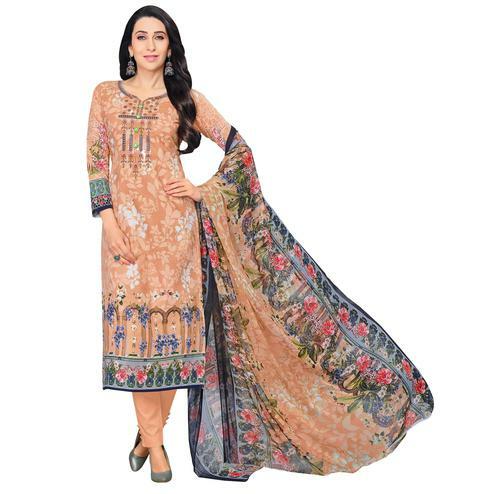 The attractive embroidery and print work a vital attribute of this dress. 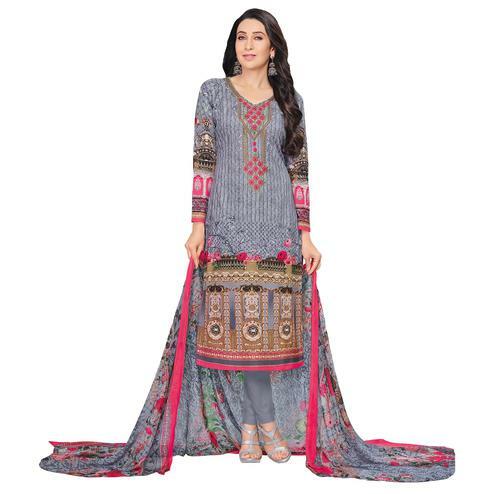 Comes with matching bottom and beautiful printed dupatta to complete the look. 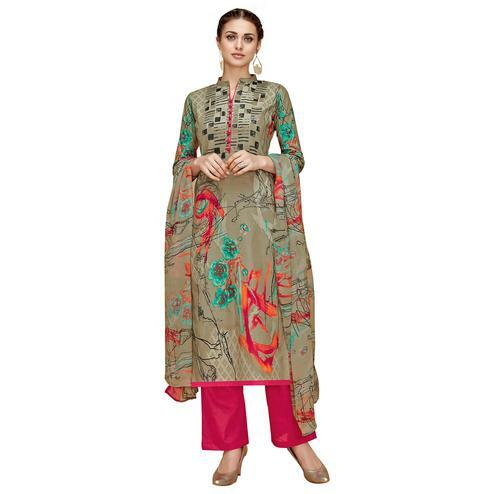 The top & bottom are of royal crepe along with chiffon dupatta. Length Chest upto 46 - 48 inches and length upto 46 - 48 inches.